In three judgments rendered on 5th October 2016, the International Court of Justice decided for the first time that it could not entertain an entire case for absence of dispute between the parties at the time of the application. In doing so, the Court confirmed its willingness to stick to a new concept of “dispute” in international law that the Court itself fashioned in some of its latest case law. The factual background of the case is known to SIDIBlog readers. The Republic of the Marshall Islands (RMI), in the name of its tragic history of being used as a testing ground for nuclear weapons, had submitted separate applications against 9 States known or presumed to hold nuclear weapons, invoking a failure to comply with their obligations of cessation of the nuclear arms race and of nuclear disarmament under article VI of the Non-Proliferation Treaty and the alleged customary norm of identical content. The Court only listed the three cases against those States having made an optional declaration under article 36(2) of the ICJ Statute: India, Pakistan and the United Kingdom. The other States refused the offer of forum prorogatum. All defendants contested the jurisdiction of the Court based on three main arguments. According to them, there was no actual dispute at the time the request was filed. This was a “contrived dispute” that the ICJ should reject. Second, the Court could not decide upon the international responsibility of the defendants without violating the Monetary Gold principle by implicitly adjudicating on the responsibility of other nuclear States not before the Court. Third, the jurisdiction of the Court was ruled out by the reservations in the unilateral declarations. The Court rejected the applications in three short and substantially identical 25-page decisions, where it upheld the defendant States’ first preliminary objection, without touching upon the other two. It seems clear that the will of the ICJ was avoiding all the politically sensitive issues raised by the case. The reasoning, under the pretext of judicial economy, reflects an avoidance strategy that the Court seemingly deployed in other nuclear cases too. In the Nuclear Tests judgments of 1974 the Court found that, due to the French unilateral commitment to stop carrying out atmospheric tests, the dispute no longer existed. A request for examination of the evolution of the situation was lodged in 1995, based on para. 63 of the 1974 judgment («the Applicant could request an examination of the situation in accordance with the provisions of the Statute»), but the Court found that the basis of the judgment remained unaffected and rejected the claim on procedural grounds. The ICJ’s famous advisory opinion of 1996 provides further evidence of a reserved attitude towards nuclear cases. Then, the casting vote of the President proved necessary to approve an ambiguous statement (the well-known Paragraph E of the dispositif) on the compatibility of the use of nuclear weapons with international humanitarian law. As Judge Oda said apropos this statement: «the equivocations of subparagraph E prove my point that it would have been prudent for the Court to decline from the outset to give any opinion at all in the present case. The fact that the Court could only come to such an equivocal conclusion hardly serves to enhance its credibility». What Brigitte Stern wrote criticizing the outcome of the 1974 nuclear cases applies to the Marshall Islands cases, too: «by refusing to decide the case on the basis of preliminary objections in order not to take a position on the evolution of the law, the Court risks to destroy its function at least as much as if it had participated in the emergence of certain new rules or as if it had stopped them». The historical record shows that objecting to the jurisdiction of an international court on the basis of an alleged absence of dispute has never been a promising strategy, as the relevant threshold was set very low. Counsels for the Marshall Islands were well aware of that. As Professor Condorelli eloquently said «l’argument ne tient pas la route» because the dispute «est affichée sous les yeux de la Cour», as if the simple opposition of the claim by the defendant sufficed to generate a dispute. Had the Court considered that this was not enough, in Condorelli’s view the Court should have nonetheless rejected the “surprise dispute” argument because the RMI had repeatedly protested against the attitude of nuclear States in multilateral fora. For the Court this was still no enough, since it was not proved that the defendants were «aware, or could not have been unaware» of the RMI’s allegations against them (see for instance para. 38 of the judgment against India). The “awareness test” is in fact not completely new. In De Curzio (1959), the Italian-United States Conciliation Commission considered that it lacked jurisdiction to entertain the claim submitted by Vitalina Di Curzio, because she had not petitioned the Italian Government first. The Commission stressed that the defendant «was never placed in a position to either recognize or deny its obligation under the Treaty». However, the ratio decidendi here seems to be different: what counts is not the awareness of the defendant but giving it the opportunity to recognize or deny the international obligation. The ICJ’s stance in the case in hand is certainly more restrictive. The Marshall Islands had raised its claim in multilateral fora, a claim that the nuclear States were in a position to answer by recognizing or denying the relevant obligation under the Non-proliferation Treaty or customary international law, as per the De Curzio standard. For the ICJ, however, nothing short of a «bilateral diplomatic exchange», or «consultations or negotiations» concerning the breach of the obligation was necessary (see e.g. para. 44 of the judgment against India). This position is hardly acceptable as its seems to make the notion of a multilateral dispute void, when – as Judge Crawford stressed – the importance of cases like South West Africa «lies in the recognition that a multilateral disagreement can crystallize for adjacent purposes as a series of individual disputes coming within the Statute». As Judge Sebutinde suggested in her dissent, what transforms a mere disagreement into a legal dispute is now the subjective element of awareness of the defendant. This may not be the most disturbing novelty introduced by the ICJ’s decision, since the judicial assessment of this subjective element can and must be based on objective elements. More interestingly, as pointed out by Judge Tomka, this new theory led the ICJ to reshape the critical date factor and to introduce an element of formalism previously unknown to its case law. If awareness must have ripened before the filing of the application, one gets very close to notification. In the 2012 Belgium v. Senegal judgment, the Court declined jurisdiction for the claims based on customary international law since at the time of the filing of the application the dispute between the parties «did not relate to breaches of obligations under customary international law» (par. 55). However, in its previous case law, the Court had stressed that «while its jurisdiction must surely be assessed on the date of the filing of the act instituting proceedings, the Court should not, however, penalize a defect in procedure which the Applicant could easily remedy» (see Congo v. Rwanda (2006), para. 54). This is so because, as the Court itself observed «what matters is that, at the latest by the date when the Court decides on its jurisdiction, the applicant must be entitled, if it so wishes, to bring fresh proceedings in which the initially unmet condition would be fulfilled. In such a situation, it is not in the interests of the sound administration of justice to compel the applicant to begin the proceedings anew» (Croatia v. Serbia (2008), para. 85). In the case in hand, the Court blurred the distinction between the concept of a dispute and the idea of prior exhaustion of diplomatic remedies, a conflation that has recently been condemned by the Court itself (Nicaragua v. Colombia, (2016), para. 72: «although a formal diplomatic protest may be an important step to bring a claim of one party to the attention of the other, such a formal protest is not a necessary condition»). The ICJ adopted a deferential attitude towards the defendant’s sovereignty that recalls the “théorie du succédané”, crafted by the Permanent Court of International Justice in the Free Zones case (1919, p. 13), according to which the institution of international proceedings is only a succédané to diplomatic settlement. This is shown by the fact that the concept of “awareness” appears in law of the sea arbitration: «Article 283 [UNCLOS] requires that a dispute has arisen with sufficient clarity that the Parties were aware of the issues in respect of which they disagreed» (Chagos Marine Protected Area Arbitration (Mauritius v. United Kingdom), Award, PCA Case No. 2011-03, para. 382). Here, the awareness standard is not picked from general international law but from Article 283 UNCLOS, which mandates an exchange of views before the filing of the case. The Court did not explain what the legal basis for its new doctrine of awareness is. And it also failed to clarify what exactly is required of the claimant under it. This uncertainty is made even more evident by the fact that some dissenting judges analyze the Court’s case law, at least from Belgium v. Senegal onwards, as a revirement (see the opinions of Vice-President Yusuf and of judges Tomka, Bennouna, Sebutinde, Robinson, Crawford and Bedjaoui), whereas other judges believe that no such change occurred (see the opinions of President Abraham and of judges Owada and Xue). Is the concept of dispute affirmed by the Court one of general international law? If so, it will be interesting to see what impact, if any, such concept will have in other international fora. Other aspects of the decision attract criticism. The way the Court understood judicial economy is an example. As the Court could not fail to realize that a dispute, assuming that it did not exist before, was crystallizing before its own eyes, it had to calculate the risk that, as Judge Owada hypothesized (§8), the RMI filed a fresh application immediately thereafter. Now, as Judge Gaja made clear, judicial economy is not about achieving brevity at all costs; when exercising it, the Court should take into account the need to address all the objections that are likely to be raised again by the applicant in new proceedings involving the same parties. Running the risk of such a waste of time and energy is hardly compatible with – even contradicts – the principle of judicial economy. A second critique concerns the Court’s emphasis on bilateralism, which may have broader consequences, at least as understood by some of the judges. Judge Xue, in particular, welcomed what she perceived as a celebration of «mutuality and reciprocity» in international dispute settlement (para. 8). In her view, claims such as the one filed by the RMI have to be rejected as they resemble actio popularis, hence not in line with the alleged general philosophy of inter-State litigation. It cannot be excluded, then, that the position of the ICJ will usher in a conservative attitude towards the limits of dispute settlement through judicial means. This was criticized by Judge Cançado Trindade, according to whom the judgment unduly thwarted access to justice in a case which is of concern to humanity as a whole (para. 32). 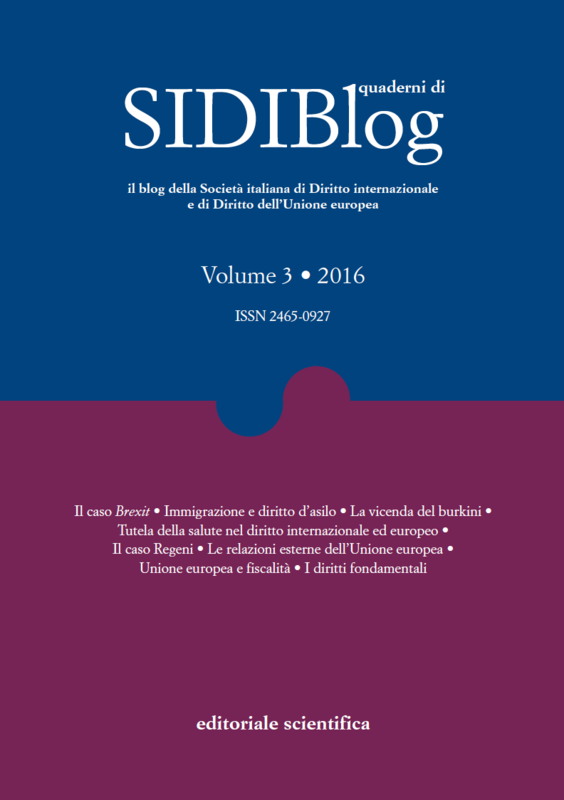 A third critique concerns the conceptual link between absence of dispute and lack of jurisdiction. On that point, Judge Tomka convincingly opined that the existence of a dispute is better characterized as a condition upon the exercise of jurisdiction, rather that as an independent jurisdictional requirement. This conception would pave the way to a more relaxed approach towards the existence of a dispute as a prerequisite, which was actually the approach adopted by the Court itself until very recently. Now, however, the Court appears more inclined to understand the existence-of-dispute requirement as more fundamental, along the lines of President Abraham’s declaration, where he stated that on the existence of a dispute depends the very existence of the jurisdiction of the Court, not only its exercise. Last but not least, the decision is made even more striking by the position taken by President Abraham himself. As is known, he expressed a strong dissent against the recent developments in the Court’s case law regarding the concept of dispute (Belgium v. Senegal and Georgia v. Russia cases). But he changed his mind in the Marshall Islands cases. And in the case involving the United Kingdom the decision was adopted by his casting vote. Even more interesting is the way in which he tried and justified his about-turn, as he felt compelled to do: «even if a judge has expressed reservations, or indeed his disagreement, at the time the Court established its jurisprudence, once the Court has done so, he must consider himself to be bound by it thereafter (not legally, of course, but morally), just as much as if he had agreed with it». Reasoning this way, Judge Abraham raises questions on the theory of precedent, but also about the legal value of dissenting opinions in a period when those issues are strongly debated in contexts such as the one of investment arbitration: what value may be ascribed to dissenting opinions if judges wishing to dissent have to abide by a moral duty to conform? It may therefore be interesting to compare President Abraham’s stance with that taken by Brigitte Stern with respect to the use of precedent in investor-State proceedings. In the Burlington award, expressing herself against a majority which stressed the need to follow a well-established jurisprudential trend, she stated that she considered «her duty to decide each case on its own merits, independently of any apparent jurisprudential trend» (para. 100). The underlying idea is that a precedent can be a bad precedent, and one not to be followed for the sake of making the law evolve. The idea of a moral duty to blindly follow the case law is indeed perplexing. Even in the case in hand, the dissenting opinions are there to show how enriching diversity of opinion can be.